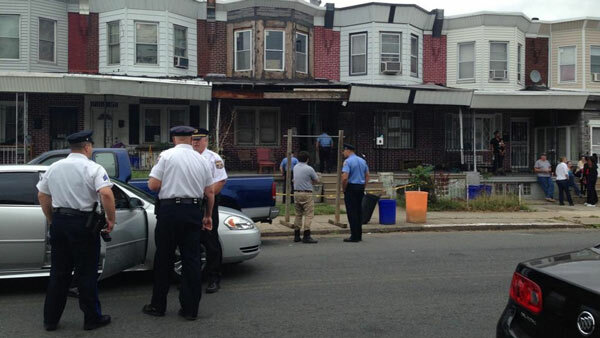 OLNEY (WPVI) -- Philadelphia police are investigating a fatal shooting and the discovery of marijuana plants inside a home in Olney. Authorities were called out just after 11:00 a.m. Thursday to the 200 block of Lindley Avenue. When they arrived, officers found a deceased 34-year-old male, with a gunshot wound to the head, outside of the home. Police entered the house and found marijuana growing in the basement. Investigators say there was enough growing inside the home for personal use, but they are not sure at this point if the pot was being distributed. Investigators are now checking the man's hands for gunpowder residue to see if the gunshot wound was self inflicted. However, there was no gun present at the scene when police arrived.